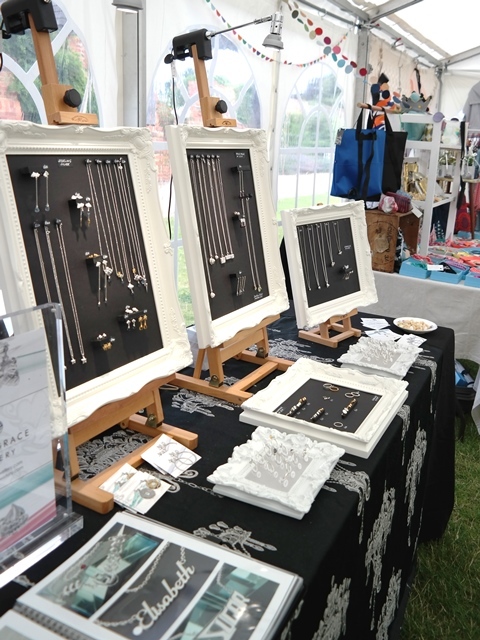 I was so pleased to get a stand at the Walthamstow Garden Party with E17 Designers again. It’s such a fun day, and the weather was beautiful again this year! Beautiful weather also equals boiling hot marquee, so we all rather wilted under the heat, but it was totally worth it. Got to meet some lovely new people, chat to designers I’ve not spent time with, and also get a bit over-excited about all the lovely dogs customers brought to the garden party with them. I love dogs, but suspect my two furry overlords would have something to say if I tried to come home with one! Anyway, back to the workbench now – just finishing off some lovely new pieces in my Rain or Shine collection.